Welcome to Chiropractic of Bellevue, your home for chiropractic adjustments, drug-free pain management, massage therapy, sports injury rehabilitation, holistic health care, and more! Our chiropractor Dr. Edward Owens has been providing chiropractic care for Seattle, Bellevue and Eastside since 1996. We've been serving the Eastside area for over 20 years. Say Goodbye to Pain and Get Healthy and Active Today! We accept nearly all forms of insurance and you will never experience billing surprises or fiascos. We understand that pain can strike at any time or it may build slowly and simply become unbearable. If you need immediate, urgent chiropractic care in Seattle, we are here to help! We accept same day appointments, and walk-ins are always welcome. We accept a wide array of insurance plans including Microsoft Premera, Blue Cross Premera, and many more. We will do our best to accommodate you as quickly as possible. Call us right now and schedule your appointment! Give us a call at 425-802-5432 to make an appointment! 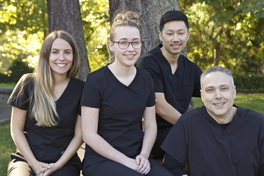 How Can Our Bellevue Chiropractors Help You? Our approach to chiropractic treatment is hassle-free with no obligations or long-term commitments. When you first visit our practice, our Bellevue chiropractor will conduct a full diagnostic exam to determine the specific cause for your pain or injury. Chiropractic care is an effective pain management technique because adjustments address the root cause for pain: a spinal misalignment like a herniated disc or slipped disc. Our gentle, hands-on care is safe and effective. In fact, some patients experience immediate relief after just one or two treatment sessions. Most patients will benefit from a series of treatment sessions over several weeks. Depending on the extent of injury and pain management needs, ongoing care for several months may also be beneficial. Complementary treatments, like massage therapy, can also make a big difference for your health. If you are new to chiropractic care, it’s natural to have questions about what to expect and whether this approach to pain management or injury rehabilitation is right for you. Our Bellevue chiropractic team is here to help! Contact us at any time with your questions. We also invite you to sign up for our e-newsletter to learn more about the benefits of chiropractic care. Drug-free pain relief is possible! To learn more, contact Chiropractic of Bellevue today at 425-802-5432. Our chiropractor, Dr. Owens, and our staff, Andy and Hailey, are here to help you! "As a 74 year-old woman with constant pain in my lower back and knees, I am walking and feeling so much better."